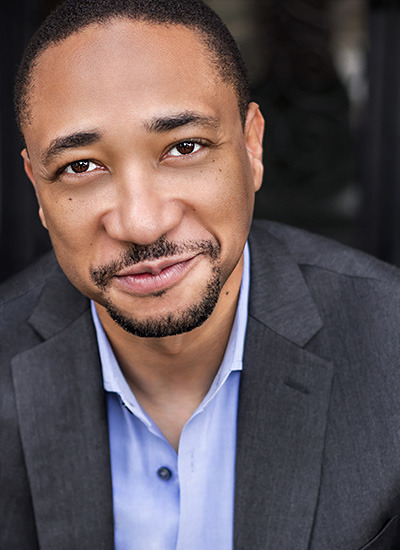 A native of Detroit, Michigan, Damon Gupton served as American Conducting Fellow of the Houston Symphony and held the post of assistant conductor of the Kansas City Symphony. His conducting appearances include the Orchestra of St. Luke’s, Detroit Symphony, Baltimore Symphony, Cincinnati Pops, National Symphony Orchestra, Toledo Symphony, Fort Worth Symphony, Florida Orchestra, San Diego Symphony, Long Beach Symphony, San Antonio Symphony, Princeton Symphony, Orchestre Philharmonique de Monte Carlo, NHK Orchestra of Tokyo, Orquesta Filarmonica de UNAM, Charlottesville Symphony, Brass Band of Battle Creek, New York University Steinhardt Orchestra, Kinhaven Music School Orchestra, Vermont Music Festival Orchestra, Michigan Youth Arts Festival Honors Orchestra and Sphinx Symphony as part of the 12th annual Sphinx Competition. He led the Sphinx Chamber Orchestra on two national tours with performances at Carnegie Hall and conducted the finals of the Seventh Cliburn International Amateur Piano Competition. Musical collaborations include work with Marcus Miller, Kenn Hicks, Brian Stokes Mitchell, Byron Stripling, Tony DeSare, The Midtown Men, Kathleen Battle and Jamie Cullum. Gupton received his Bachelor of Music Education degree from the University of Michigan, where he delivered the commencement address to the School of Music, Theatre & Dance in 2015. He studied conducting with David Zinman and Murry Sidlin at the Aspen Music Festival and with Leonard Slatkin at the National Conducting Institute in Washington, D.C. Awards include the Robert J. Harth Conducting Prize and The Aspen Conducting Prize. Mr.Gupton is the inaugural recipient of the Emerging Artist Award from the University of Michigan School of Music and Alumni Society, and is a winner of the Third International Eduardo Mata Conducting Competition. Mr. Gupton has been featured as narrator in many venues including the Cleveland Orchestra, Grand Teton Music Festival, Grant Park Music Festival, Houston Symphony, Colorado Symphony, Memphis Symphony, and on the the Videmus recording Fare Ye Well. He also narrated a concert version of Beethoven’s Fidelio with David Robertson and the St. Louis Symphony Orchestra. An accomplished actor, Gupton graduated from the Drama Division of the Juilliard School in New York. He has had roles in television, film, and on stage, including the Broadway production of Bruce Norris’ Pulitzer Prize and Tony Award winning Clybourne Park, the Ovation and LA Drama Critic’s Circle award winning Ma Rainey's Black Bottom (Mark Taper Forum), Superior Donuts (The Geffen), Christina Anderson’s Inked Baby (Playwrights Horizons), Othello (Heart of America Shakespeare Festival), The Story (Public Theater), Meg’s New Friend (The Production Company), Wendy Wasserstein’s An American Daughter (Arena Stage), True History and Real Adventures (The Vineyard Theatre), and Treason (Perry Street Theatre). He also performed the title role of Academy Award-winner Eric Simonson’s Carter’s Way at Kansas City Repertory Theater. He received an AUDELCO nomination for Best Supporting Actor for his work in Clybourne Park. Gupton's television credits include series regular roles on Black Lightning, Criminal Minds, The Player, The Divide, Prime Suspect, and Deadline as well as guest or recurring appearances on Dirty John, Goliath, Bates Motel, The Newsroom, Suits, Empire, Rake, Law & Order, Law & Order Criminal Intent, Conviction, The Unusuals, Third Watch, Hack, and Drift. He appeared in Damien Chazelle's Academy Award-winning films Whiplash and LaLa Land, as well as This is Forty, The Last Airbender, Helen at Risk, Before The Devil Knows You’re Dead, Unfaithful, and The Loretta Claiborne Story.